Robinson Forest Field Day. Video by UK Agricultural Communications. LEXINGTON, Ky. (March 20, 2019) — The University of Kentucky’s Robinson Forest spans 15,000 acres across three counties in Southeastern Kentucky. Now, though, thanks to the innovative thinking of the Department of Forestry and Natural Resources, the forest has the ability to provide additional resources to enhance its research, teaching and demonstration missions. As part of the Our Path Forward initiative, Robinson Forest is helping preserve the environment and protect UK’s fiscal future, too. 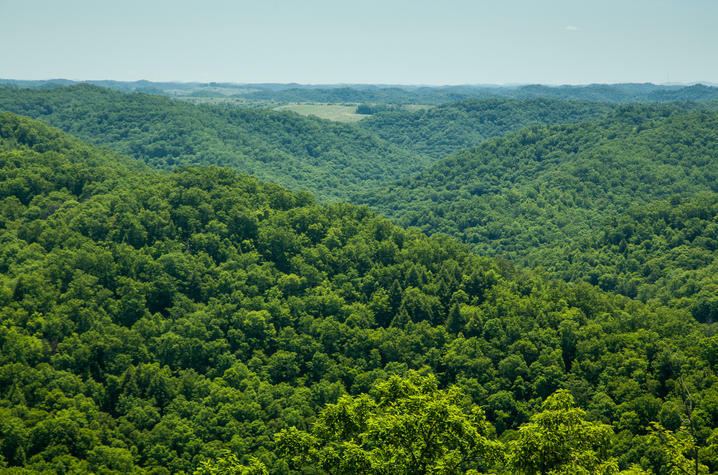 The concept is a novel and innovative one: UK is working with The Nature Conservancy’s Working Woodlands program, which allows Eastern Kentucky landowners to certify conservation efforts of forests. 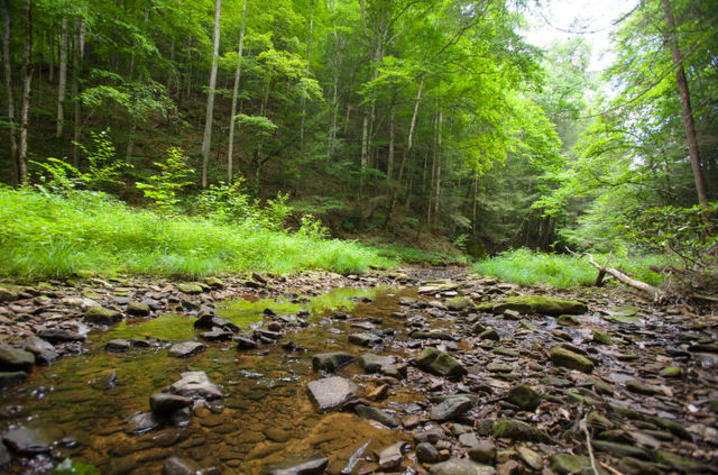 The conservancy calculates how much carbon is in the forest and then helps convert it into carbon credits that can be purchased by others who want to offset pollution that may be attributed to them, according to a recent article in the Lexington Herald-Leader. You can read more about the innovative program here: www.kentucky.com/news/local/education/article203067309.html. The effort could ultimately yield several million dollars over several years — dollars that would help meet the mission of Robinson Forest to serve Eastern Kentucky, while generating revenues for UK’s efforts in the region. The effort is one of the first initiatives under Our Path Forward, a five-year financial strategy for UK. The goal is to generate more than $200 million in new revenues over the next five years to help meet anticipated expenses and continue to fund the institution’s growing mission of service to the Commonwealth. Other initial efforts in Our Path Forward include overall enrollment growth, including summer school; increasing retention and graduation rates; expanding online education efforts; and reforming the university’s procurement efforts, among others. A second round of initiatives is being discussed now by university officials. Cox said UK CAFE officials are continuing to work with The Nature Conservancy to establish the program’s parameters over the next several months. The hope is to begin realizing revenues from the program in the next year. Officials estimate the carbon credit effort alone could make up to $4 million to $5 million in the first five years of the program. At the University of Kentucky, our mission is to do more and be more for Kentucky – through the education, service and care we provide in every corner of the state and far beyond our borders. But to meet our growing mission for the state, we must find ways to continue to grow the revenues we need to do the work our state and the world require. At the direction of President Eli Capilouto, Provost David W. Blackwell and Executive Vice President Eric N. Monday are leading several teams of administrators, faculty, staff and students tasked with generating ideas around several core concepts to create a long-term financial path for the University of Kentucky. In the next five years, the University of Kentucky must address a critical financial imperative – a $200 million gap between expected revenues and anticipated needs. That financial plan – Our Path Forward (OPF) – seeks to achieve the appropriate balance between investments in operations, human resources, capital facilities and technology to generate the resources necessary to maintain and expand our mission of teaching, research, health care, and service. You can read more about our efforts here.